Periodontal (gum) disease is the leading cause of tooth loss for adults. Treating the disease early and with consistent follow-up can help eliminate the risk to your teeth and gums. Dental exams and teeth cleanings are essential to helping prevent periodontal issues. The earliest signs of gum disease will be noticed by your dentist and dental hygienist during your scheduled appointment. Swollen, bleeding, or inflamed gums are an indication that gum disease is in progress. Gingivitis is the first phase and can evolve into a more serious condition known as periodontitis. Periodontal disease must be treated early. You can reduce the severity of gum disease with an early diagnosis followed by preventive periodontal treatment. 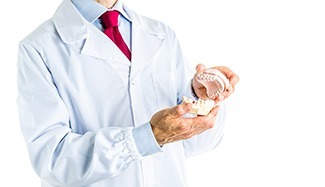 Your Palm Beach Gardens dentist and your dental hygienist will remove the dental plaque and tartar from your teeth. These harmful substances harbor bacteria and must be removed to prevent your gum disease symptoms from getting worse. Scaling and root planing are recommended for more severe gum disease issues. This deeper cleaning procedure eliminates plaque build-up beneath your gum tissue. Schedule your next dental exam and teeth cleaning with your Palm Beach Gardens dentist, Dr. Alvarez. Discuss any gum disease symptoms you’re experiencing. For many years Dr Alvarez has been doing Non-Surgical Treatment or Surgical Treatment on his patients from all over Palm Beach County. Dr will consult with you regards what your best treatment options are.